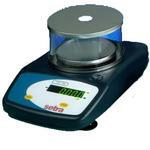 All Easy Count scales employ Setras proprietary, variable capacitance weight sensing technology. This technology requires fewer parts, allowing the scales to maintain a low profile and small footprint, providing you with better reliability and a lower price. The high displayed resolution of 1 part in 100,000 is your assurance that the Easy Count delivers the internal counting resolution needed to count accurately with lighter samples. 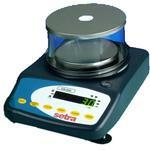 Each model is offered in capacities of 500 grams, 2 kilograms and 5 kilograms. 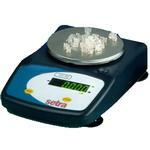 No other counting scale is easier to use or more accurate than the Easy Count from Setra. Accuracy monitor enables the supervisor to select special settings that check the sampling process and, if necessary, cause the scale to prompt the operator if the number of pieces used in the sample is too small. Stability indicator. An ?OK? LED confirms that the scale is stable and weight measurements are accurate. 17.5" x 11" x 2.5"
DYMO Labelwriter Setra 300 Printer With one of the smallest footprints of any direct thermal bar code printer, it will print up to seven Code 3 of 9 barcode fields or 23 text fields on one label. The printer is whisper quiet and accepts labels that are 2.25 inches wide by 1.25 inches or 4 inches in length. The RS232 cable to connect to the EasyCount scale is standard along with a sample roll of three hundred 4 inch labels. Setra 400 Direct Thermal Printer The Setra 400 printer is a high performance, direct thermal barcode printer. The printer features a positive-locking, self-aligning print head mechanism that is perfect for printing shipping labels, retail labels, package labels, and many other types and styles of labels. The printer accommodates roll-form media up to 5 inches in diameter and can be easily adjusted to work with rolls from 1 to 4 inches in width. The Setra 400 offers maximum performance at a market-leading low price. Setra 500 Barcode Scanner Setras 500 barcode scanner is durable and ergonomically designed, it is the best value handheld barcode scanner in its class. The 500 has a high intensity aiming line and captures barcodes from as far away as 200 mm. The 500 is easy to aim, it scans barcodes in any lighting environment and scans virtually all 1-D bar codes. The 500 is a very rugged scanner, able to withstand drops onto concrete of up to 1.5 m (4.9 ft), designed for use in industrial environments. 3 Door Glass Draft Shield (500g cap. only) Featuring top and side actions, and frameless design for easy access to a large chamber, measuring 7 3/16?W x 7 1/16?D x 9 13/16?H.